Find a grassy spot in the sun or shade and pull up one of these beautiful Waddling Ducks blankets for picnics. British made, these best-selling printed cotton picnic blankets are waterproof backed, super lightweight and machine washable. 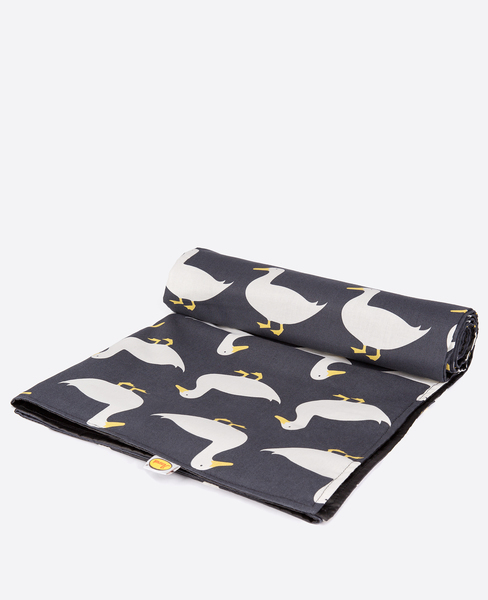 This fun and colourful picnic blanket features white waddling ducks motifs on a striking slate grey background.